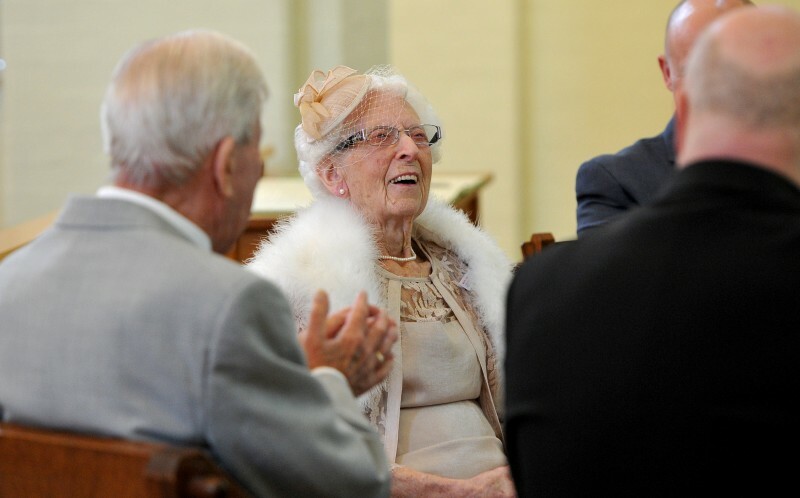 Are these Britain’s oldest newlyweds? 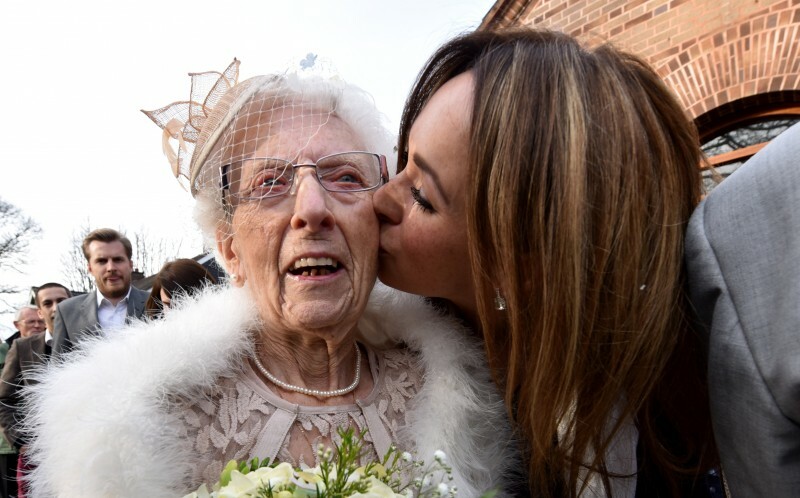 This loved-up couple have finally tied the knot – and they have a combined age of 186. 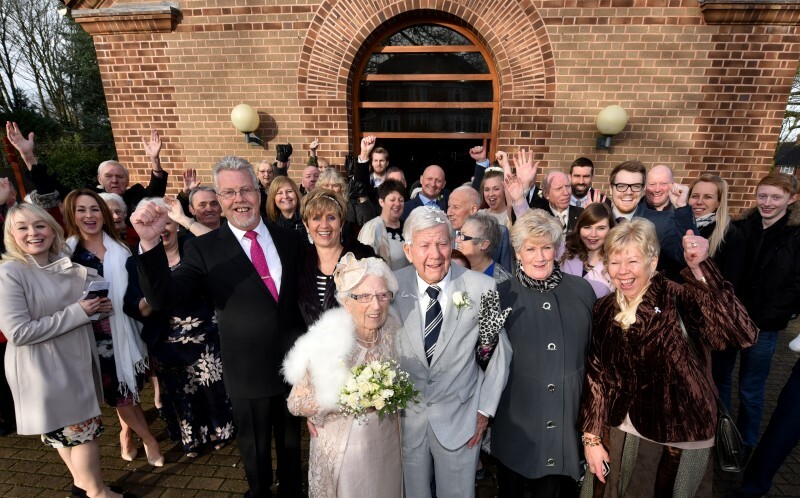 Bill Griffiths and Flo Marshallsay, from Oldbury, West Mids, proved it’s never too late to live happily ever after when they wed surrounded by family and friends. The lovebirds, who have five children, 12 grandchildren and seven great-grandchildren between them, have known each other for almost 20 years and lived together for a decade before Bill finally popped the question. The pair exchanged vows at St Hilda’s Church in Oldbury, led by family friend Rev Paul Hinton, before going out for a meal with family and friends. 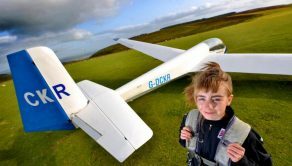 Flo said: “It’s really quite something. “The church was full, it was amazing. The day was absolutely wonderful. Bill, 90, met Flo, 96, at a sequence dance club he used to go to with his late wife Joan, but it took a while for romance to blossom. Flo used to bring Bill meals after his wife died in 1997 – and after a dance group holiday to Margate the pair soon became inseparable, speaking on the phone daily before eventually moving in together. 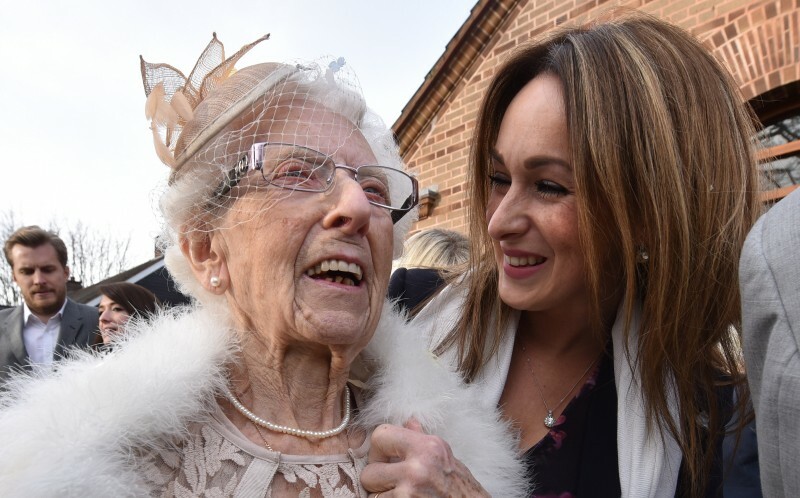 Flo, a former pub landlady, said: “When we first met I was friends with Bill and Joan, and Bill would come over and ask me for the occasional dance. 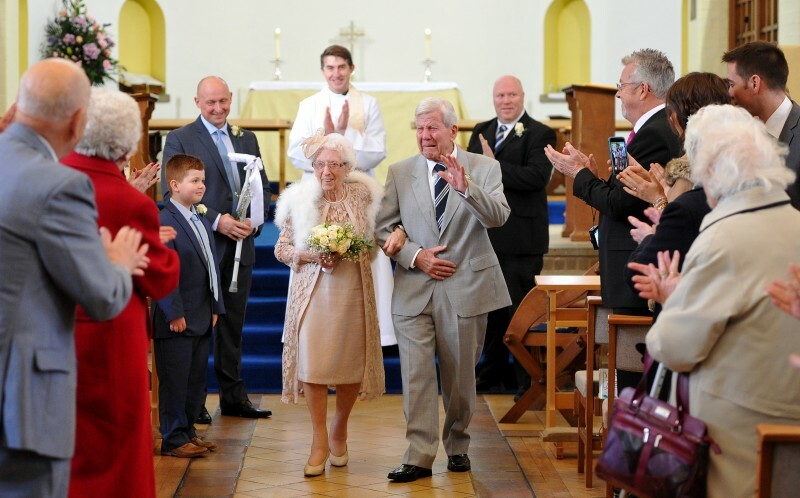 The emotional occasion saw proud groom Bill shed a tear as he watched his bride walk down the aisle, escorted by her grandson Mark. 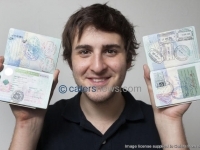 Bill’s son Peter said: “The whole day has been amazing and a really lovely reunion for the families. “I’m absolutely over the moon for them. 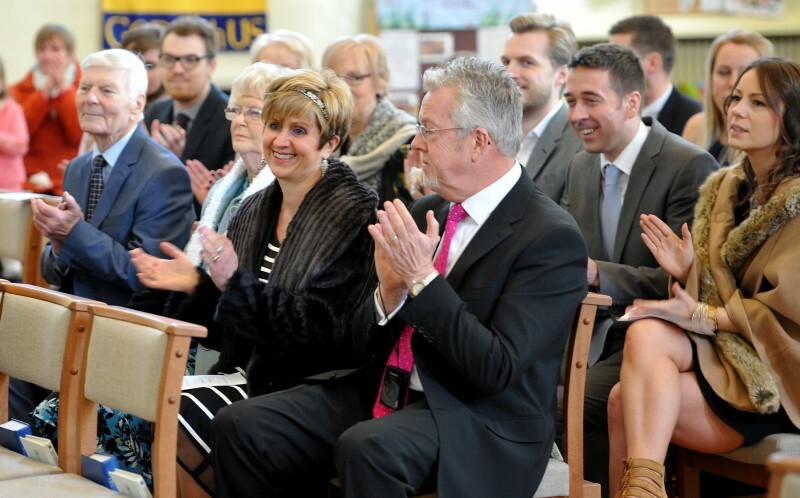 The couple are now planning a trip away to St Ives later in the year for their honeymoon. Giggidy! 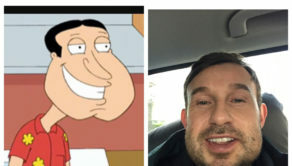 BGT star left double of Family Guy’s quagmire after dental op made his face swell !